There are 3 Naked palettes to purchase besides from the 2 Basic palettes. This palette was my first purchase, I don't own any others, however I would like to eventually. There are many duplicates out there for their shades, but you can't beat the real thing when it comes down to their strong pigment and easy to blend formulas. Strange, Dust, Burnout, Limit, Buzz, Trick, Nooner, Liar, Factory, Mugshot, Darkside, Blackout. Personally, I love all the shades, especially the darker ones for cut creases and a serious smokey eye. The great thing about this palette also, is that the looks are endless, you can go subtle or dramatic. I think Urban Decay were very brave releasing this only because of the shades are pink/purple toned unlike the other palettes there is a variety. The advantage to the similarity of these shades is that each shadow will compliment each other as they have the same underlying tones. I haven’t used my Naked 3 palette in a while. I’m currently loving my Lorac Mega Pro Palette. 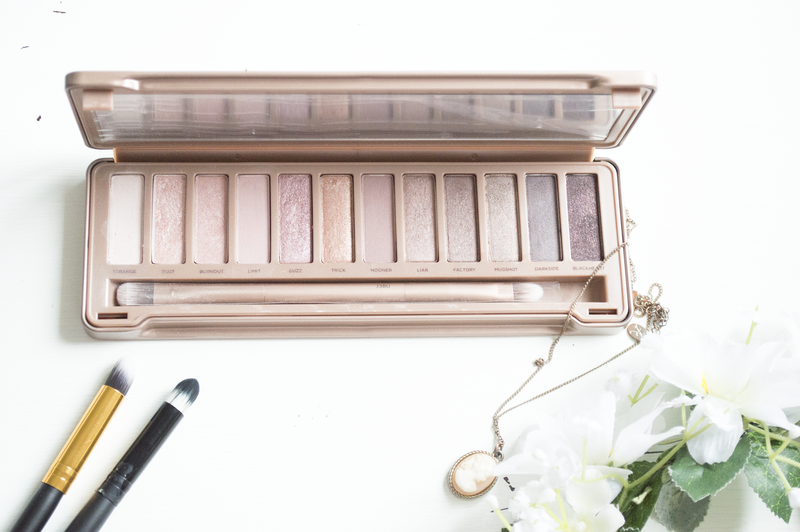 I like the naked 3, but I find that the looks I could get from it tend to look the same.lol But it's great to use alongside other shadows or palettes for some great mauve shades! I absolutely LOVE the naked palettes. It's almost all I use for everyday wear.